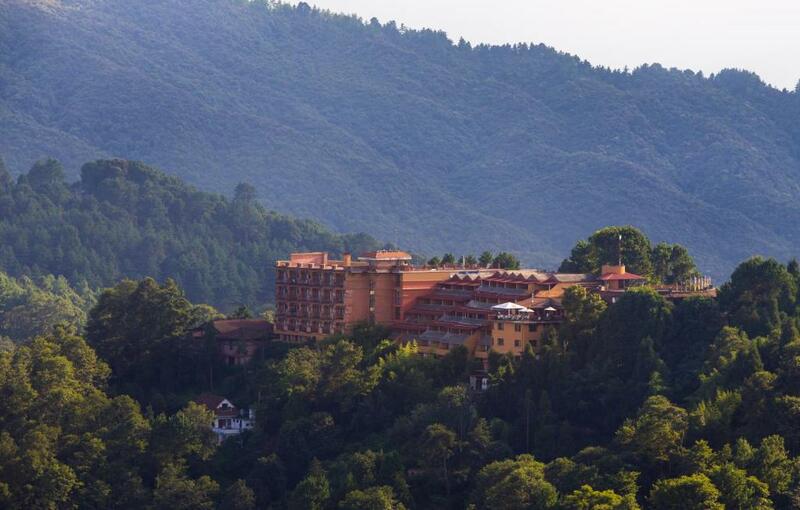 Lock in a great price for Club Himalaya, by ACE Hotels – rated 8.5 by recent guests! I was travelling with my mother and she has mobility issues, so they gave me a room on the same floor as the reception and other facilities like the restaurants. The view from each room was spectacular. It was great for mom. Also, the property has a lovely walkway around its perimeter ... so was great taking mom for short walks. The food is great, especially the Chinese food is amazing. 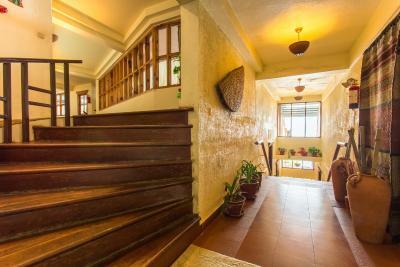 Its really a wonderful property! Excellent location, fabulous room, great staff, and delicious food (breakfast and dinner were outstanding). Amazing service. Great location. The beat view from the balcony! Nearly everything. 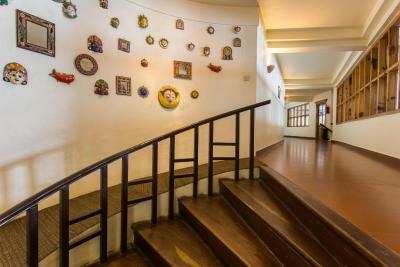 The location and staff are the standouts, followed closely by the multiple balconies, hallways, reading room, food, outside seating areas, and room comfort. Location was absolutely fantastic. Had great view of Himalayas. Loved the rooms with their own private balconies with sunrise view. Although we chose to wake up early and go to the rooftop to watch the sunrise. 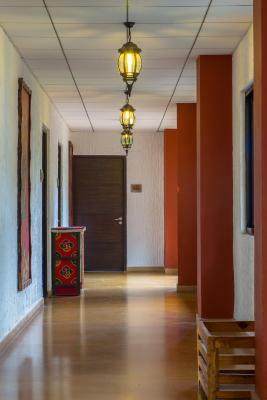 We also liked the ambiance and decor which perfectly matched the surroundings and reflected the local culture. The staff are all friendly especially the ones at the reception. Breakfast is good with lots of vegetarian options. We also had our dinner there although it's quite expensive, we still enjoyed the food. Moreover, we experienced a couple of power outages but not more than a minute. I guess, it is normal in this area. Breakfast and food in general were cooked fantastic. The view from our bed was epic. Comfortable rooms and beds. very clean bath and hot water was available. The rooms are quite big and the views from the balcony were a breathtaking. The spa is superb and the buffet was fair. 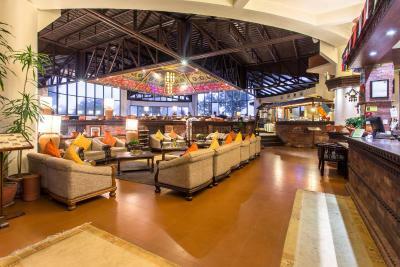 Club Himalaya, by ACE Hotels This rating is a reflection of how the property compares to the industry standard when it comes to price, facilities and services available. It's based on a self-evaluation by the property. Use this rating to help choose your stay! Sitting 7,200 feet above sea level on Windy Hill, Club Himalaya Nagarkot offers 360 degree views of the Himalayas. 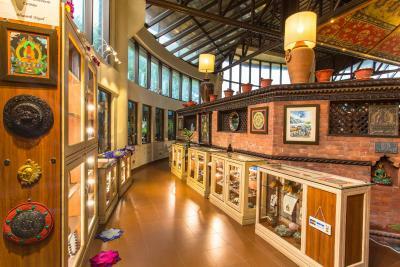 Away from the busy city, it features a shopping arcade. 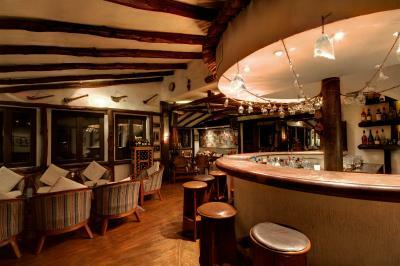 There are 2 on-site restaurants and a bar, an indoor swimming pool and a spa. Featuring high ceilings and a private balcony, all the air-conditioned rooms are equipped with a cable TV and personal safe. Beautiful mountain views can be enjoyed from all rooms. 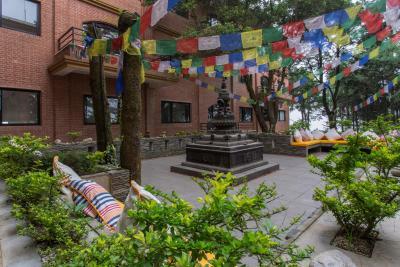 Club Himalaya, Nagarkot is a 30-minute drive from Bhaktapur, a 45-minute drive from Tribhuvan International Airport and an hour's drive from Kathmandu. Taking a helicopter, it is just a 7-minutes' ride from Tribuhavan International Airport. Guests can read a book in the library. 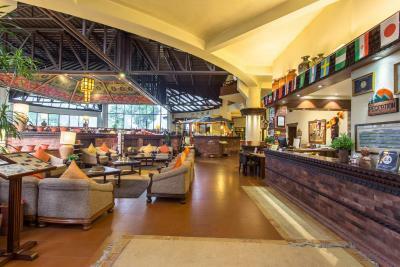 For a day out, the hotel also provides a city shuttle service, car rentals and a tour desk. 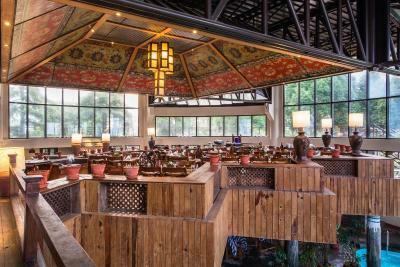 Restaurant Kantipur serves a selection of Nepali, Continental, Chinese and Indian cuisines. 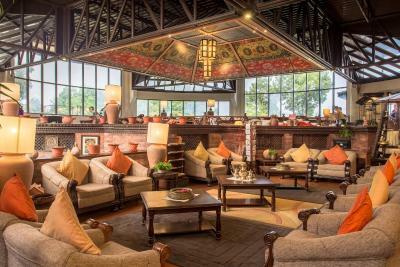 Drinks can be enjoyed at Bar Indrawati. When would you like to stay at Club Himalaya, by ACE Hotels? Featuring a private balcony with mountain views, this air-conditioned room comes with a cable TV. Private bathroom has free toiletries. These rooms are newly built. Fitted with high ceilings, parquet floors and designer furnishings, this room also has a balcony with views of the mountains. It includes a telephone and private bathroom. This twin/double room has a balcony, mountain view and seating area. This twin/double room features a balcony, view and bathrobe. 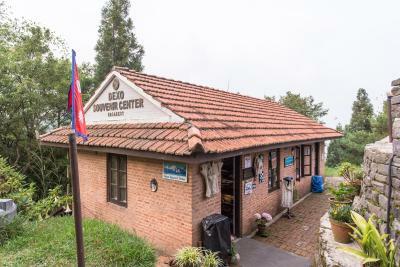 Sitting 7200 feet above sea level on Windy Hill, Club Himalaya Nagarkot enjoys amazing views of the Himalayas. 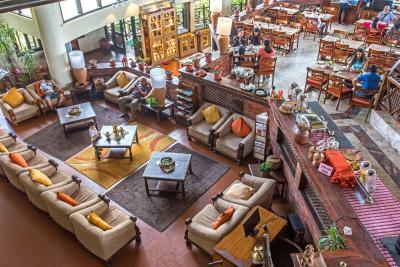 Away from the busy city, it features an indoor pool, spa treatments and a shopping arcade. 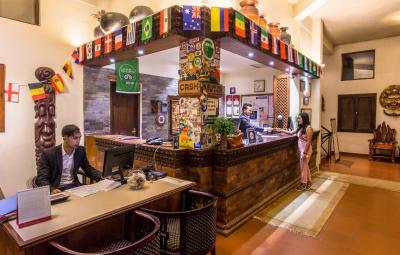 Club Himalaya features 360 unrestricted view of Kathmandu, Lalitpur, Bhaktapur, Sankhu, Changu Narayan in the West; Mt. Annapurna in the North West; Mt. Everest in the North-East; Indrawati Valley in the East; and the Nagarkot Hill on the South. 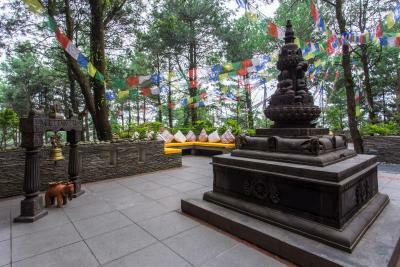 House Rules Club Himalaya, by ACE Hotels takes special requests – add in the next step! One child from 5 to 10 years is charged 50 % of the room stay per night in an extra bed. 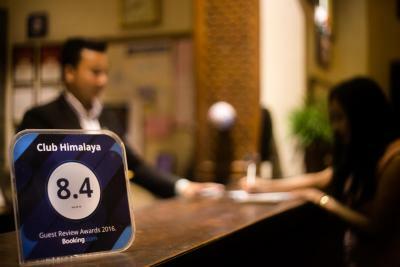 Club Himalaya, by ACE Hotels accepts these cards and reserves the right to temporarily hold an amount prior to arrival. I couldn't say anything negative at all about the staff and the facilities. Shame most of the guests stayed for just a night on their Nepal Tour they didn't have time to appreciate the Hotel as well as its fantastic location. Spa was being renovated but it was against medical advice to have a massage anyway. 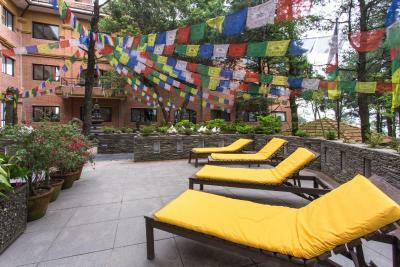 Fantastic place to rest up after a Trek, stunning room balcony views of sunrises & panoramic top deck for sunbathing in comfort or for the sunsets. Wonderful, caring staff. I arrived in a wheelchair, with 2 broken ribs & the porters literally carried the chair up the stairs to our stunning 4th floor room. Great breakfast, fruit, granola, fresh papaya, freshly cooked omelettes included, Smokey bacon, cheese & a good choice. Evening buffet equally varied or a la carte, house burger & lovely chips. Gift shop a joy. Amazing value for money. We were looked after so well. A mini bar and a refrigerator would have been great. Also, some snacks in the room. We had to order everything from the kitchen. Rest was all good. Hotel decor is dated and needs to be renovated. Pool was too almost, but not quite, warm enough for swimming and the jacuzzi was too cold. After a two requests to heat it, it never reached more than just about warm. The dressing room was very cold and not up to standards of a higher end hotel. We chose this hotel for the pool and jacuzzi so was disappointed. Another complaint was there was a bonfire in front of the hotel that caused the whole hotel to smell like smoke for hours. We chose to vacation in Nagarkot to get away from the smog of Kathmandu! Finally they solved the problem and put out the fire. Next day, the same situation occurred right by our room (see photo). The breakfast was unimpressive and the curry was too spicy even after them insisting it was not at all spicy. So, many complaints. Will not return, nor recommend. For an expensive hotel, we were expecting more attention to our basic needs. Staff was warm and friendly. Good location, walking distance to the village. Good view from room but better from roof. 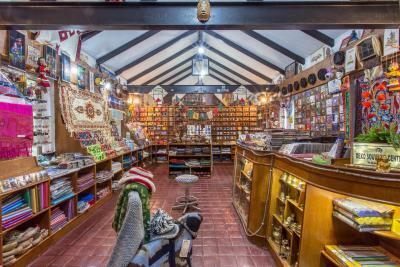 Charming hotel gift shop down the hill with a nice selection of Nepal music. A really wonderful getaway from the busy streets of Kathmandu - it's perfect to see the mountains from the comfort of your own room. The balcony views are spectacular and a perfect spot for viewing the sunrise and sunset. The rooms are modern, clean and spacious. The bathroom is big and with hot water. The TV has a lot of channels but the reception isn't that good. A great spot to visit for a day to view the mountains and enjoy some relaxation. Absolutely quiet, wonderful place, stunning views, extremely helpful staff and manager Mr. Kobi, thank You! My colleague and I booked a twin room through Booking.com, but when we arrived it was one King sized bed which was no good for us. They put a fold up bed in the room, but it wasn't ideal. The buffet was very similar on both nights with little variation. The room was lovely. The bed was comfy. The shower was excellent. The roof terrace was great in the sunshine. The room is tidy and clean. 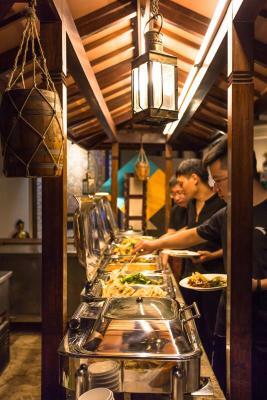 The buffet breakfast and dinner are also good! The staffs are friendly. And there is a indoor swimming pool. Top of the mountain. Very good view to see the sunrise.